Get ready for the show of a lifetime! 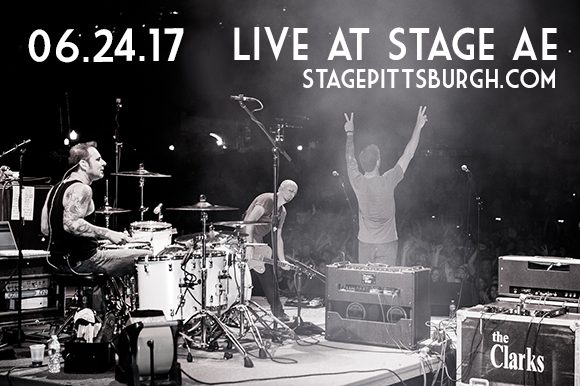 On Saturday 24th June 2017, American Rockers – The Clarks will arrive at the Stage AE!! Get ready for a night of the very best entertainment that money can buy! This is the show we've all been waiting for… Don't miss your chance to be a part of an event that you will never forget! Tickets are already on sale… book yours while you can! "The Clarks remain one of America’s best kept musical secrets. Infectious rock ‘n’ roll. So it’s entirely appropriate that the essence that has made the band one of the biggest live draws on the circuit is finally captured on The Clarks Live."